The CornuFé AlberTine (Mr Dupuy’s homage to his grandfather Albert and his wife Alexandrine) follows the same principles of offering amateur gastronomes a professional quality cooker at a more affordable price. 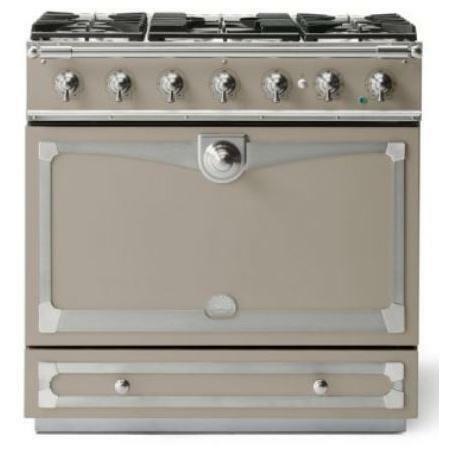 Albertine shares the general characteristics of the CornuFé 90, but with one single "King-Size" oven. This 110-litre capacity swallows up large roasts with ease or simply allows you to cook several dishes side by side. A much appreciated feature and altogether rare in this day and age. Additional Dimensions Max depth: 44.3"